A peaceful village is being attacked by evil creatures. You will not stand idly by! You will fight!!! You will help them!! Prepare your base, repair the defenses, upgrade the houses and farms and fight. Use your different weapons: rifle, shotgun and grenade to repel the attack. Drink coffee to get more energy. Upgrade your weapons in the cave and fight. 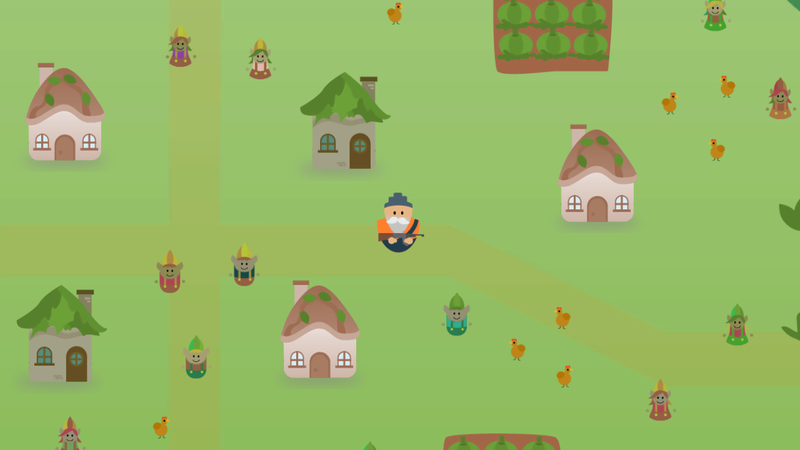 Let's see if you can rescue this village. We came up with the idea because we wanted to do a 2D game where you can aim and shoot. We made the prototype to test the mechanic. So we want to tell you a bit more about the game and what we would like to add in the future. We wanted to make a game that touched the emotions of the player and made them think about their decisions, but we didn't think we had enough time, so we decided to focus on the main mechanics. 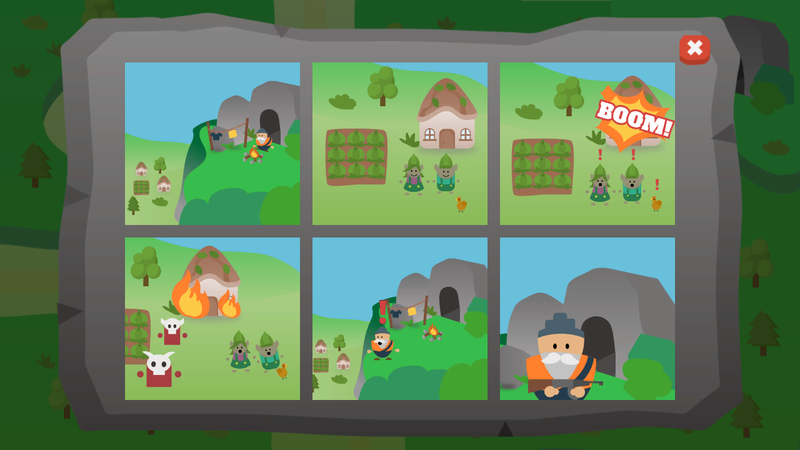 Right now the villagers just stand near their houses and when the attack comes they run and hide. But originally each villager would have a name, personality and attributes. 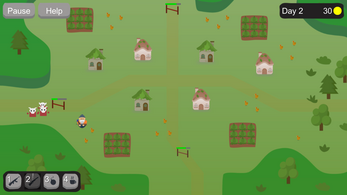 This way the player would be able to relate to each villager. We wanted the player to hear villager conversations as he comes near them. Maybe they were afraid of the next attack, or happy that the last attack didn't harm anyone. Or worried about something or someone else on the village. We also wanted to be able to train villagers so they would be able to help you. Maybe bringing you ammunition, or teach them self defense so they can fight back when someone is trying to take them. We also wanted the bandits to kidnap villagers and the graphics to be darker(like in This War of Mine), but we decided that we should do more research about the topic before we approach it this way. Right now you need to right click on the floor in order to move. We decided to do it this way because we planned to have a more complex map. With bridges over the mountains so the old man could move to strategic positions and shortcuts to get faster to some places. We also wanted the houses and trees to block your shots, so you would have to move around in order to get a good shot angle. We wanted the old man to automatically find the best way to a certain position using path finding while the player could focus on their next move. We wanted the game to feel like each shot mattered, not just shooting randomly an see what hits. So we implemented the aiming mechanic and the slow down effect. We simplified the upgrade system a lot. We wanted to put more upgrades per structure. 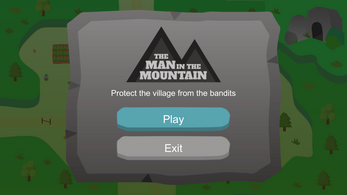 The idea is that you are not always going to be able to get to the enemies in time, so the structures need to be upgraded in order to hold the enemies while you are busy on the other side of the village. The old man can also upgrade his weapons and craft new ones. Right now all enemies feel the same except for their increase health and damage. But they all have different attack patterns. We want to change their appearance to make it easier to know what enemy does what. Attack houses, attack farms, steals chicken, etc. Thank you for reading and we hope you liked the game.